Welcoming the Lituanian President for a state visit, 5 April. I love the little hats she perches on the back of her head. There's a lot of CPs that couldn't make that simplicity work, but she does. I'm also very glad she stuck a flower on this, so it doesn't look totally winter-logged and out of place in April. State dinner, 5 April, repeating the dress that debuted at Crown Princess Victoria's wedding last year. Still love the dress. The small scale of her wedding tiara is making me long for the tiara she wore last time, though. 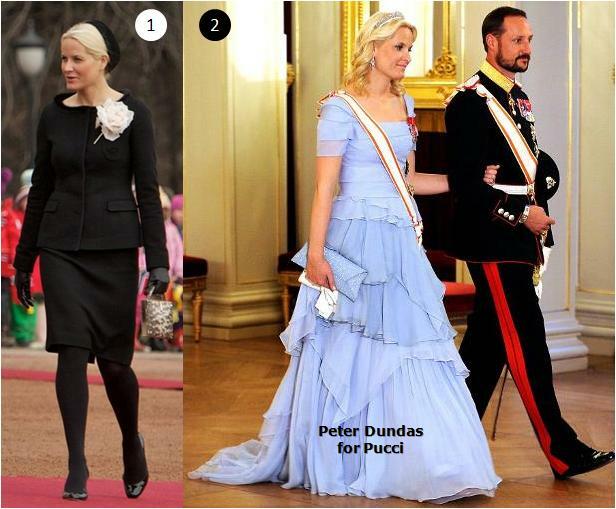 Of course, she couldn't wear that tiara, as Queen Sonja had already snatched it up. I like it better with M-M's intrcate tiara hair. It just looks like the fancy-pants spikes of a fence, peeking out from behind Sonja's hair like that. 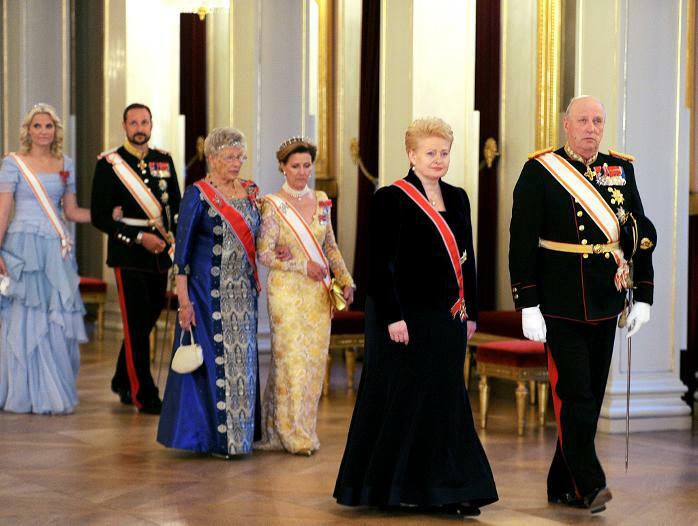 Also, for those of you that have posted your pining for a revival of flapper fashion, Princess Astrid and her bandeau tiara would like you to know that they are on it. And so is Tatiana Santo-Domingo. Be careful what you wish for.